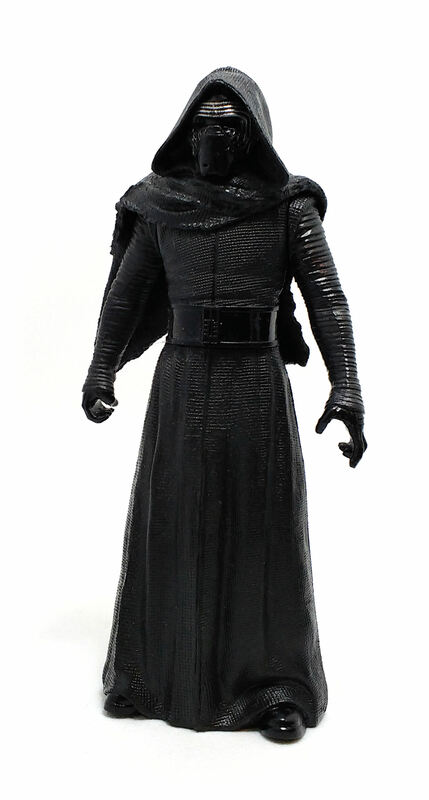 One interesting piece of merchandise I stumbled upon while looking for Episode VII action figures was this 5.5-inch version of Kylo Ren. 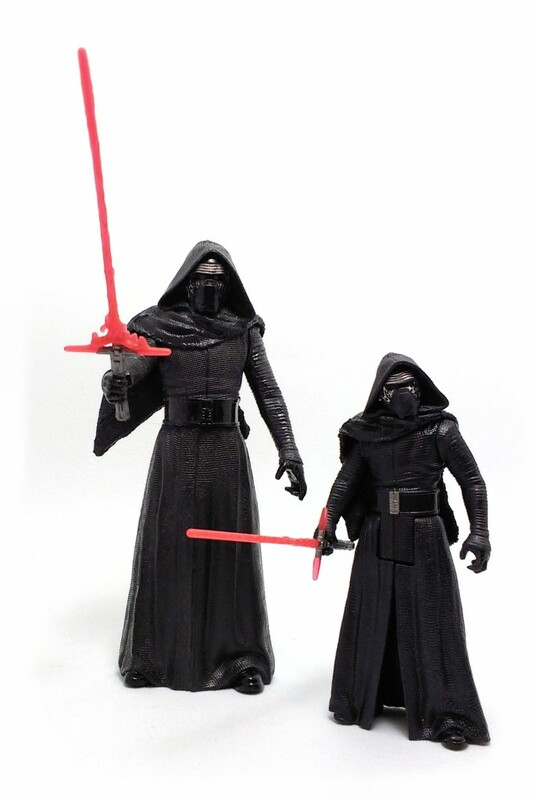 This type of figure was marketed outside the USA in the weeks prior to the movie premiere, in what Hasbro calls an “Emerging Markets” assortment, meaning these are very inexpensive toys. The sculpture is very similar to that of the 3.75-inch version, while the construction is akin to that of the Titan figure series, although the figure design is exclusive to this line. This Kylo Ren figure has swivel joints only at the shoulders and the waist, with the neck joint being completely blocked by the short plastic cloak and the lower body being a single, hollow plastic shell, which brings to mind memories of the salt-shaker type of figures that were so prevalent in the Episode I line. As with the 3.75-inch version, the paint applications on the 5-inch version are minimal, although this time around, you can notice gloss black applications on the non-fabric items as well as the gunmetal silver on the mask design. 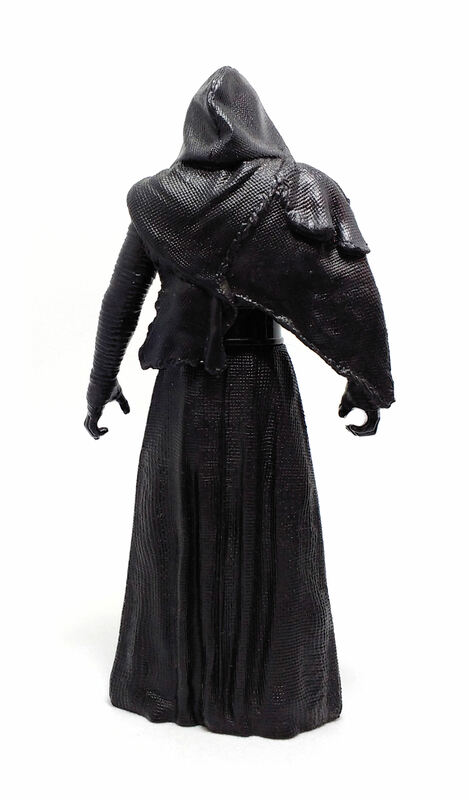 This Kylo comes with only one accessory, a removable lightsaber. For an increased durability of this piece, added material was sculpted to connect the blade and the quillions, similar to what Hasbro did for the Black Series version, although this time the blades and hilt are a molded as a single piece. 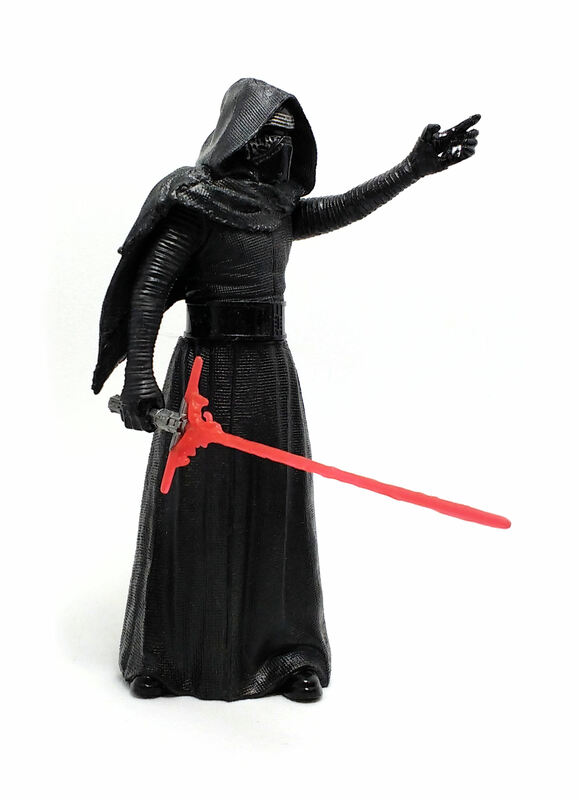 Even though the sculpture is very good on this version of Kylo Ren, the real reason I got it was the price. At roughly a third of the price of the 3.75-inch version, there is no doubt in my mind that these “Emerging Markets” figures are a very good value.